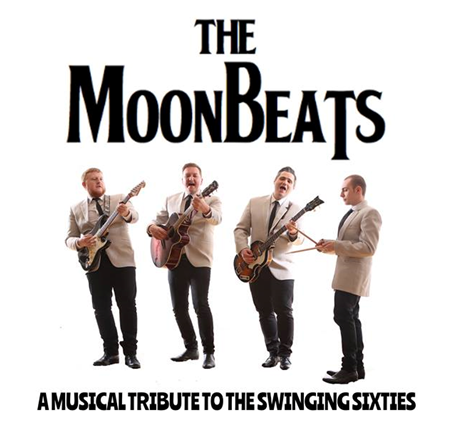 The Moonbeats bring their fab sixties show to the Arts Centre this June, featuring songs by The Beatles, Gerry and The Pacemakers, The Kinks, The Who, The Hollies, The Searchers, Herman's Hermits and many, many more! The Moonbeats are a local band who have had much success over the years in various guises, playing at venues such as The Tyne Theatre & Opera House, and The O2 Academy as well as various radio appearances. The brand new sixties show features all of the classics from the decade that defined pop music as well as some hidden treasures too. The high energy show, complemented by sixties costumes and various audio-visual effects, will have you dancing in the aisles all night long!